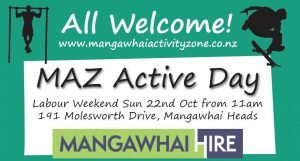 MAZ Active Day, 22nd October (Labour Weekend Sunday) is sponsored by Mangawhai Hire and is about fundraising for our fantastic community park. Come prepared to donate for food and activities. BBQs from mid-day. 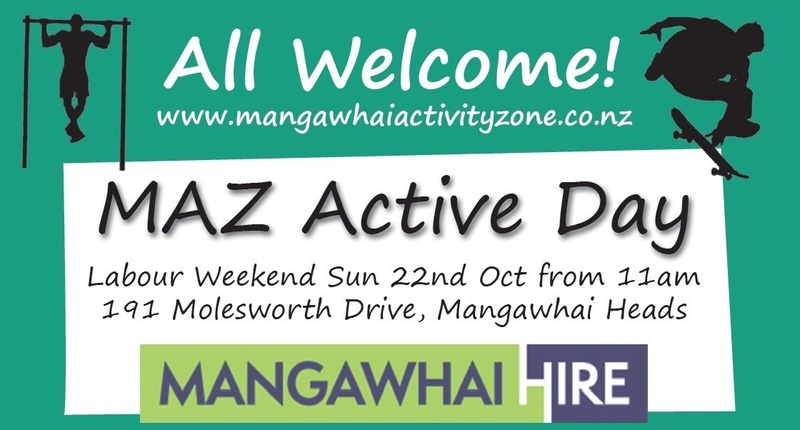 Activities will be from 11am onwards, bring your own gear and join in! 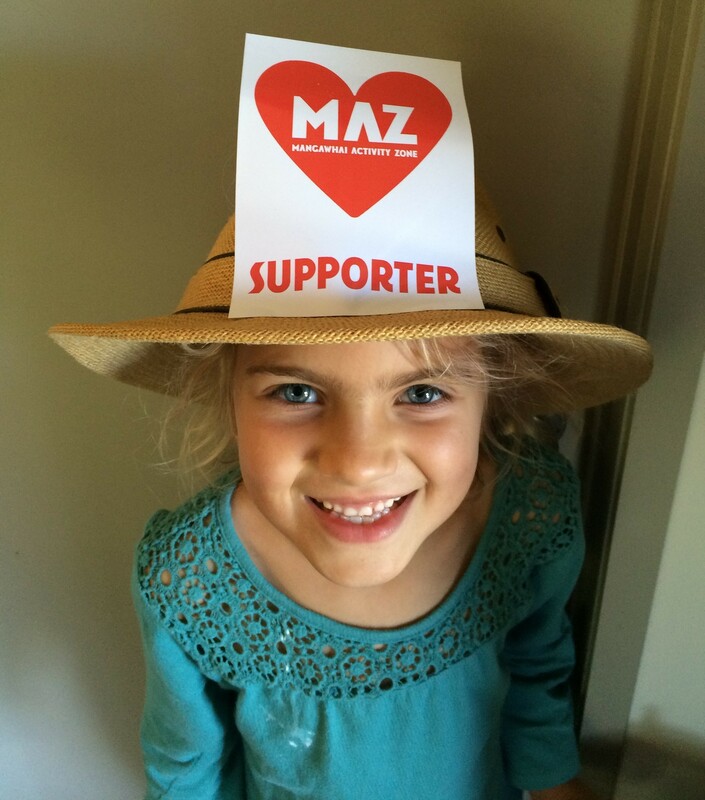 Please contact Team Leaders below to let them know if you intend to participate if you can. Note: Parking at MAZ is limited, so we urge you to BE ACTIVE and walk there! EXPERT DEMONSTRATIONS Don’t miss the Outdoor Gym demo at 3.15pm and the Skate demo at 3.45pm. This entry was posted on Monday, August 28th, 2017 at 4:41 am. It is filed under Events, News. You can follow any responses to this entry through the RSS 2.0 feed.